Before this supercharged storm soared over an idyllic world heritage site in Holland, it had produced over 100,000 lightning strikes over Northern France and the English Channel. Storm Fanatic 21-year-old German student, Jonas Piontek spent a sleepless night with his friends hunting for a view of the storm as stunning as this. 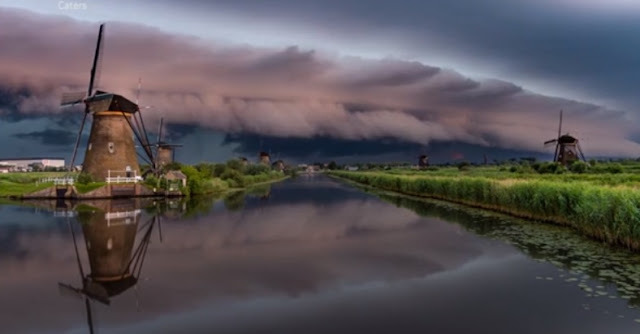 Capturing such a dangerous and imposing shelf cloud above the beautiful windmills was no easy task for Jonas who described the experience as unforgettable.